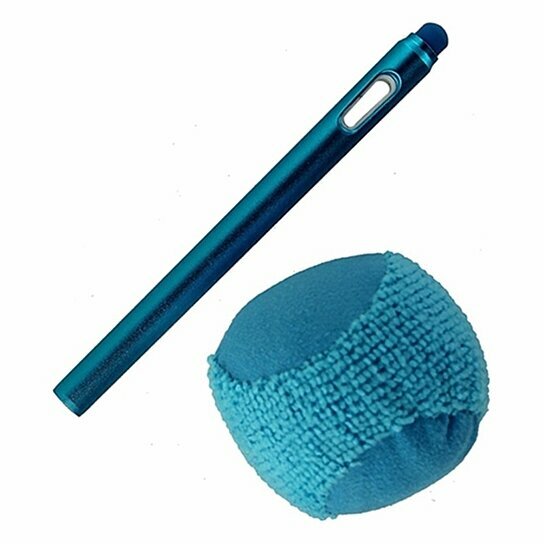 BlueFlame products, Metallic Stylus and Microfiber Screen Cleaner. Blue finish. Capacitive stylus works with all touch screen devices. Easy-to-use ball eliminates smudges. Keep screen clean and fingerprint-free.